Reply, for 'Mr Robert Orr'. 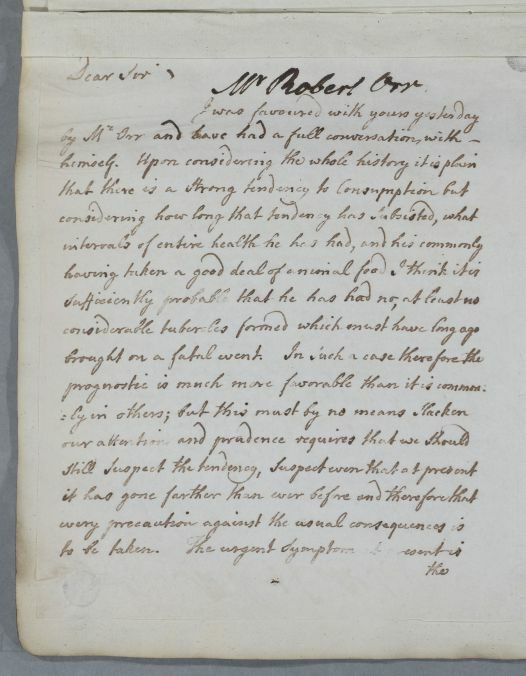 Letter regarding Mr Robert Orr, in whom Cullen diagnoses 'a strong tendency to Consumption'. 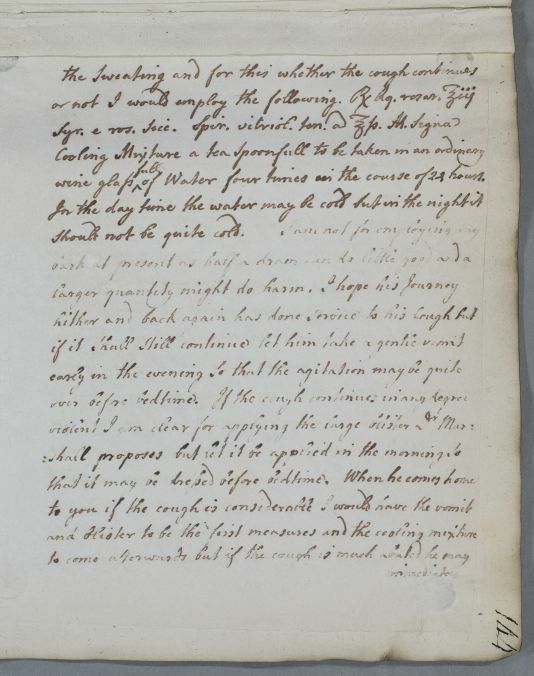 He suggests purgatives, exercise, and a 'cooling mixture'. He gives advice on how to prepare Tussilago. Summary Reply, for 'Mr Robert Orr'. 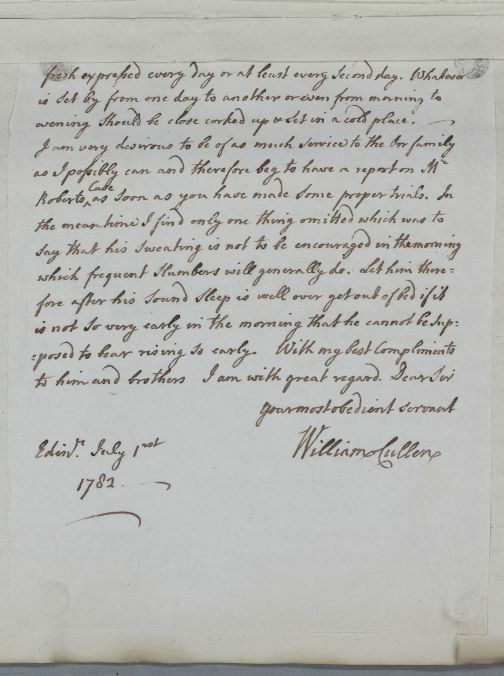 Letter regarding Mr Robert Orr, in whom Cullen diagnoses 'a strong tendency to Consumption'. 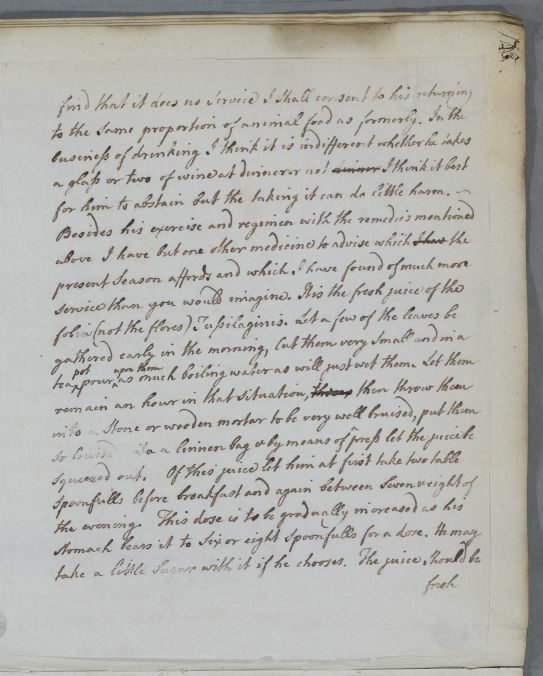 He suggests purgatives, exercise, and a 'cooling mixture'. He gives advice on how to prepare Tussilago. 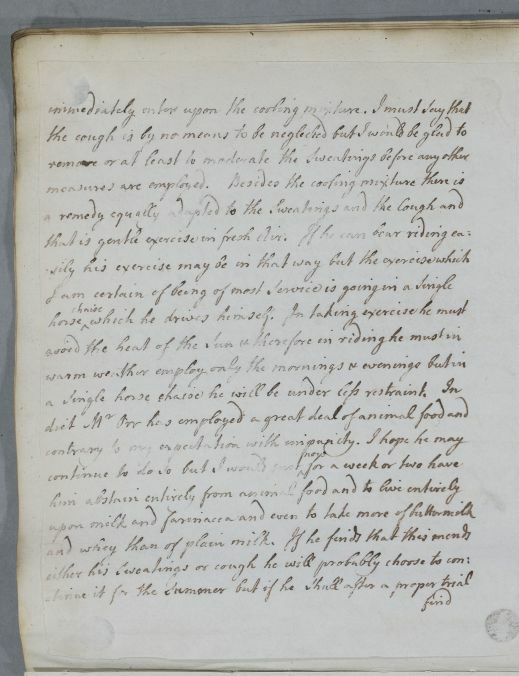 Case of Robert Orr, who is consumptive. or not I would employ the following. Take three ounces of Rosewater and half an ounce each of Syrup of dried roses and Spiritus vitrioli tenuis. Mix. Label: Cooling Mixture a tea spoonfull to be taken in an ordinary wine glassfull of Water four times in the course of twenty-four hours. In the day time the water may be cold but in the night it should not be quite cold. wine glass ↑full↑ of Water four times in the course of 24 hours. should not be quite cold.